The foundation's 2017 Annual Report to the Community is now available. This year's annual report highlights our investment in replicating the highly successful Bridge for Resilient Youth in Transition (BRYT) program in 16 MetroWest high schools. To read or download a copy of the 2017 Annual Report, click here. Arthur Bergeron, an elder care attorney with the Westborough-based law firm of Mirick O'Connell has been chosen as the recipient of the 2017 Deborah Blumer Community Health Leadership Award. Arthur is being recognized for the countless hours he spends educating older adults and caregivers about the complexities of elder law, and his work with BayPath Elder Services to bring the concept of "Dementia Friendly Communities" to towns throughout the MetroWest region. The award recognizes a person or organization that has demonstrated outstanding leadership to improve the health of the MetroWest region. It is named in memory of Deborah Blumer, the late state representative and founding chair of the foundation's board of trustees. The award will be presented at the foundation's annual dinner to be held at the Crowne Plaza Hotel in Natick on March 23rd. Through the work of our recent Boston College social work intern, Arielle Cohen, we are happy to make available an updated summary of health indicators for each of the twenty-five communities in our service area. The Community Health Profiles provide key demographic measures for each town such as population and poverty rates, as well as several health measures such as injury, mortality, asthma and substance use indicators. The profiles can be downloaded from our website, or hard copies are available upon request. Following the release of an updated Community Health Needs Assessment in late 2016, community partners recently joined forces to update the region's Community Health Improvement Plan (CHIP). The new CHIP focuses on four areas: Access to Care, Behavioral Health, Healthy Aging, and Healthy Eating/Active Living. The CHIP is designed to align the individual and collective efforts of organizations working to improve the health of the region. Copies of the 2017 CHIP are available on the foundation's website. Hard copies can be obtained by contacting the foundation. If you want to create real community change, you need to effectively engage the community in your efforts. That was the theme for a day long training session sponsored by the foundation. 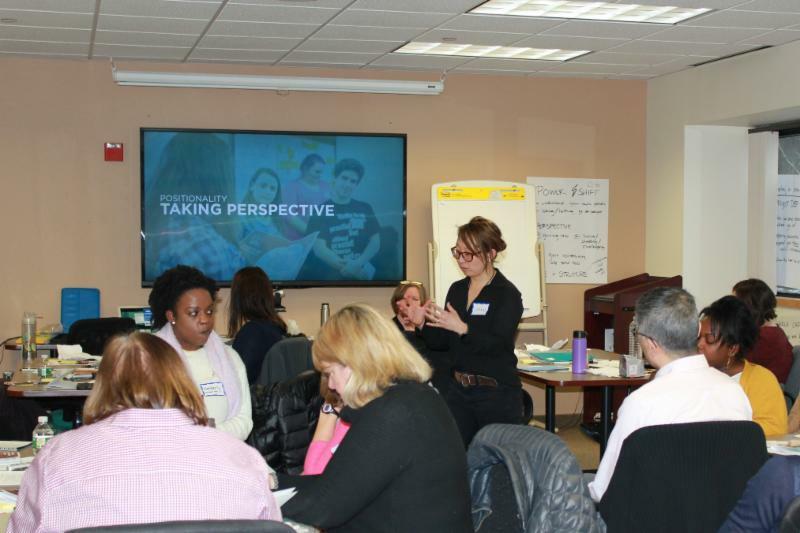 Four MetroWest groups working on community innovation initiatives came together to learn community engagement strategies from the folks at Design Impact, a national firm that uses design thinking to address pressing community issues, equip leaders, and inspire communities. The teams, which focused on issues of end-of-life care, access to mental health services, community health improvement and the rising use of e-cigarette use by youth, left with new skills and knowledge on human-centered design, a process that is centered on the needs and motivations of the people most affected by the solutions. This knowledge will help each team as they work on developing creative problem-solving solutions in the months ahead. Each team will be guided by additional coaching from the Design Impact consultants.